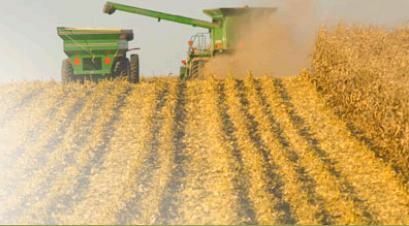 UNDATED - Results from the South Dakota Agriculture Land Market Trends have been published. They show average cash rental rates for pasture land to vary from $16 per-acre in the Southwest region of South Dakota to $75 per-acre in the East-central region of the state. The survey goes on to show typical cash rental rates for low- and high-production pasture and rangeland to vary from $16.03 to $20 per-acre in South Dakota's Southwest region, and from $49 to $98 per-acre in the state's East-central region. Looking at the county cluster level, cash rental rate averages for pasture vary from $61 per-acre in Bon Homme, Hutchinson and Yankton Counties to $80 per-acre in Minnehaha and Moody Counties. In Northeast, North-central and Central regions, county cluster levels average from $31 per-acre in Campbell, Potter and Walworth Counties to $69 per-acre in Grant and Roberts Counties. The complete report can be found at iGrow, search South Dakota Agriculture Land Market Trends. If you have questions regarding this report, please contact one of the following SDSU Extension staff: Jack Davis, SDSU Extension Crops Business Management Field Specialist by email; Heather Gessner, SDSU Extension Livestock Business Management Field Specialist by email or Shannon Sand, SDSU Extension Livestock Business Management Field Specialist.